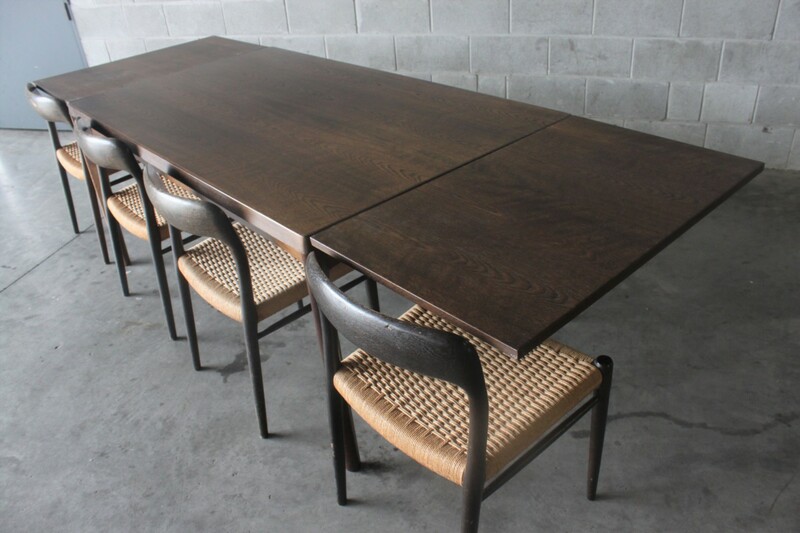 This is the large size table by Henning Kjaernulf made of oak and extends out to seat up to 12 people. 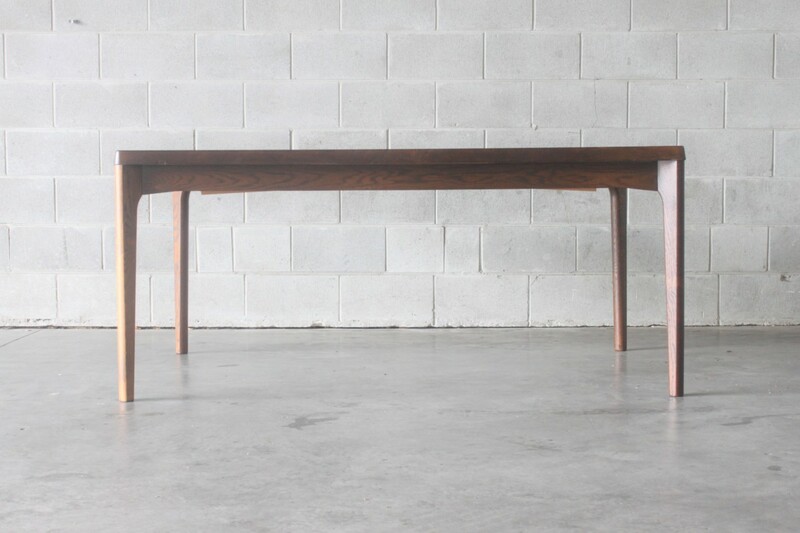 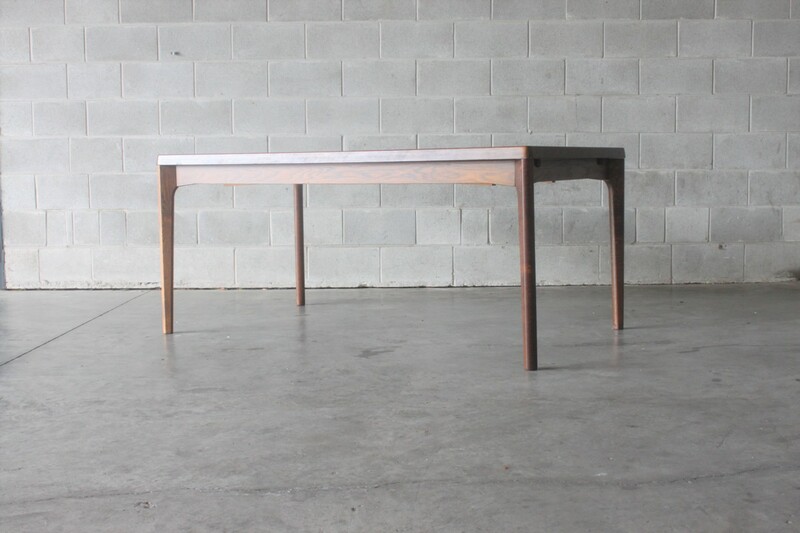 It is a very sturdy table and with the solid oak legs at the corners of the table allowing for 3 people to sit between the legs. 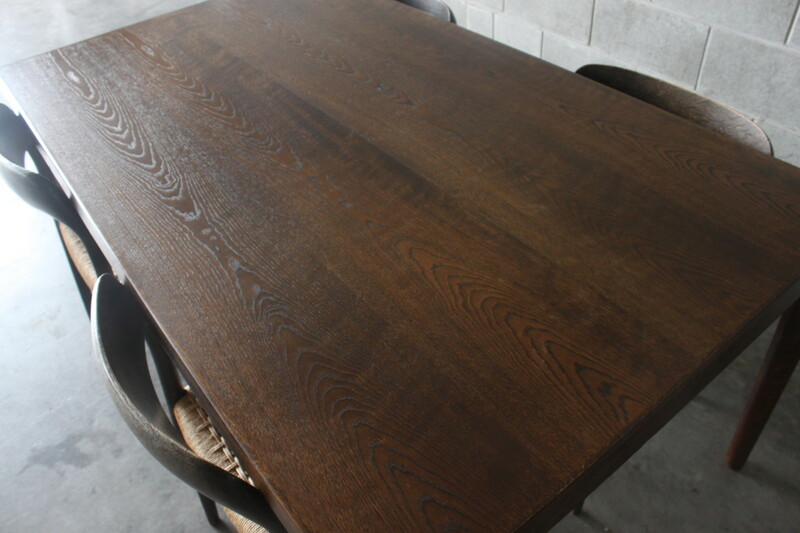 The table is in excellent condition with the top and extensions look to have been refurbished recently. 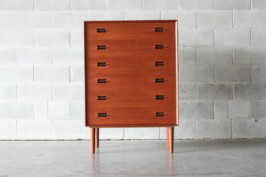 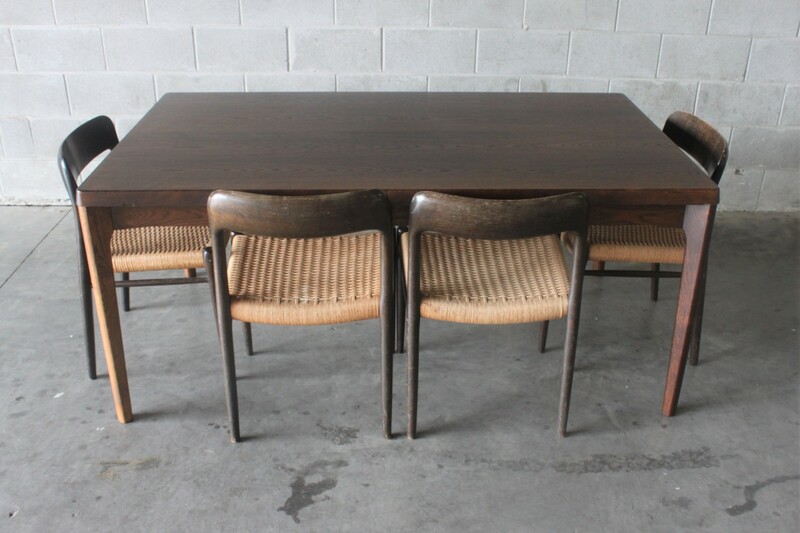 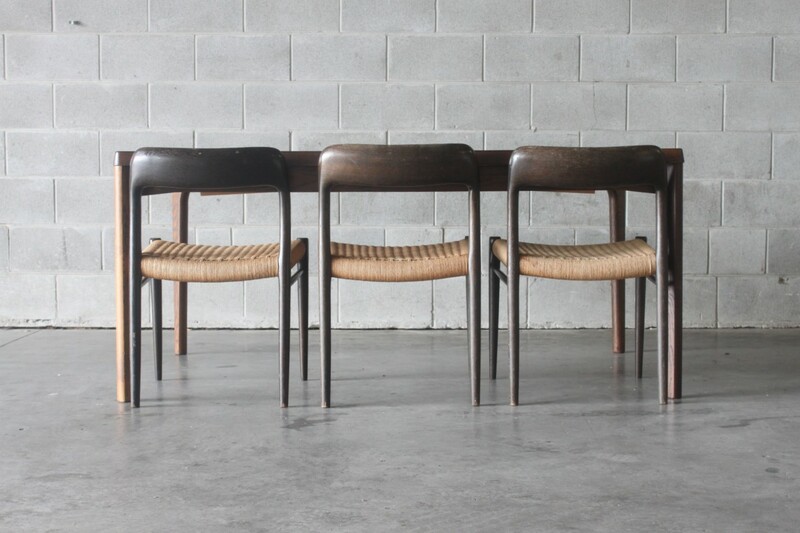 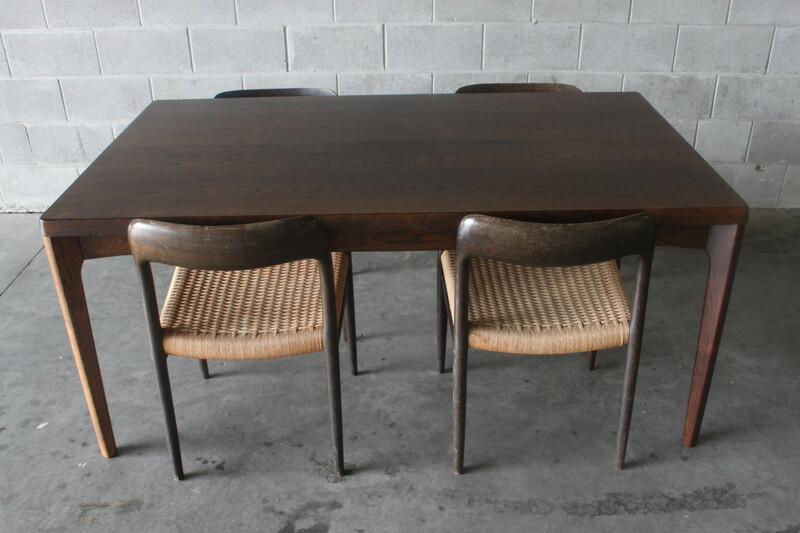 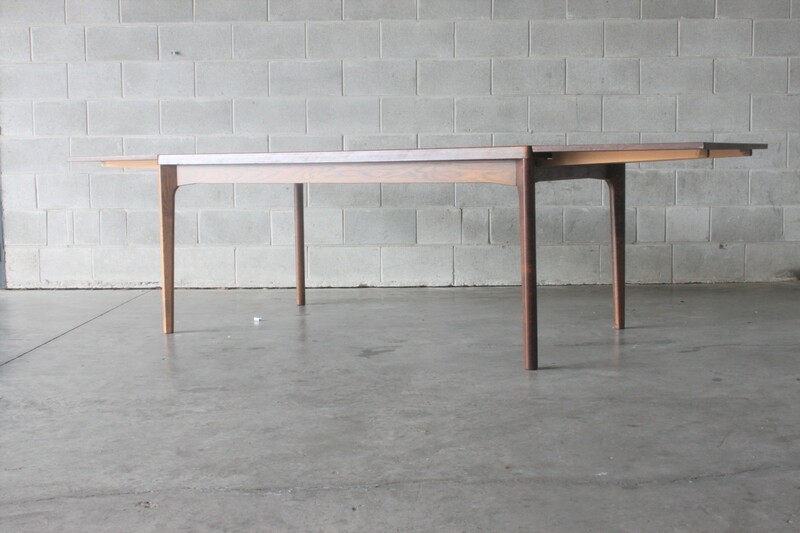 I use the same table at home which I pair up with Niels Moller chairs. 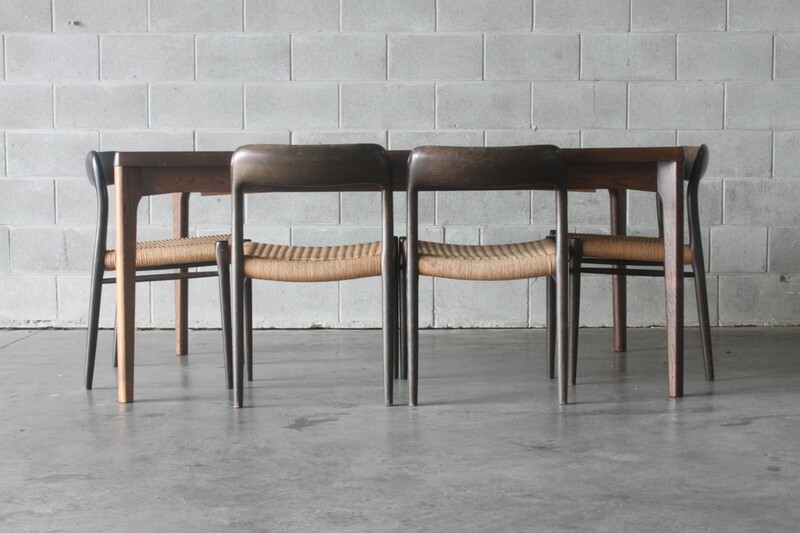 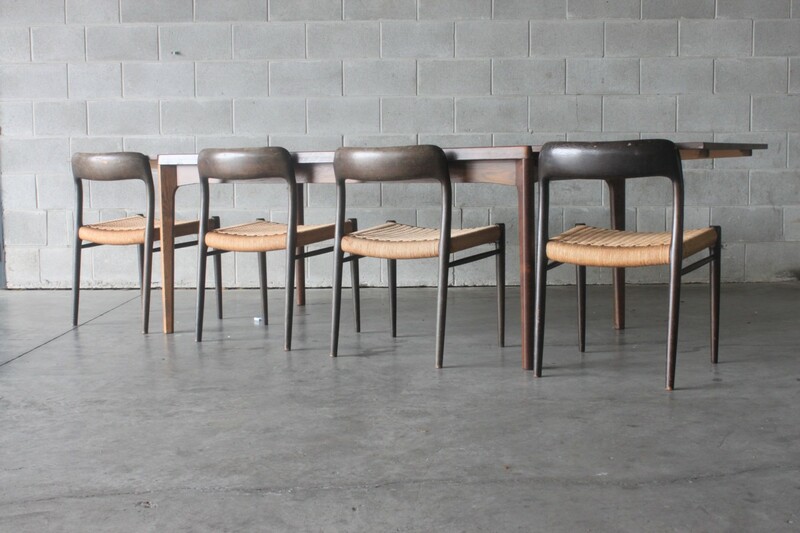 Check out our range of dining chairs to pair up with this table.